At Expressions Dental Care in Richmond Hill, we provide a complete range of children's dental services to meet oral health development needs of children. We strive to make each visit fun, educational, and positive. Our team at Expressions Dental Care in Richmond Hill believes it’s never too early to start on the road to great dental health. We go the distance to ensure every child feels safe, comfortable and relaxed from the beginning and end of their visit. You can expect a comforting dental office that is warm and welcoming to children of all ages. We offer a children's play area, entertainment, and other fun amenities to ensure your child's dental visit is always fun and positive. The Canadian Dental Association recommends the assessment of infants by a dentist, within 6 months of when their first tooth surfaces, or by one year of age. Thereafter, children should visit the dentist every six months for a check-up and cleaning, just like adults. We're here to help your children achieve optimal dental health. We focus on improving your child’s oral health, in addition to educating them at a young age on how to maintain a healthy smile. 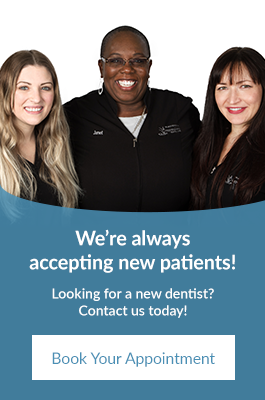 We understand the importance of each dental visit.